Choose from our delicious selection of picnic hampers with gourmet condiments and tropical fruits for your romantic picnic. 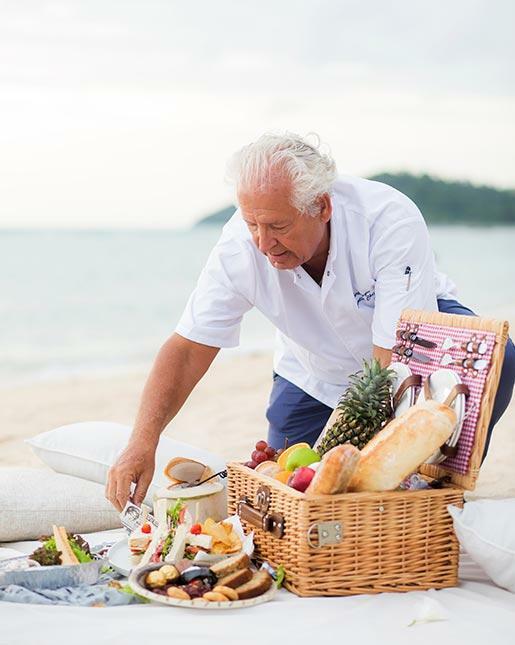 Add a bottle of sparkling for toasting on your private island. This romantic picnic is the perfect way to spend one of your honeymoon afternoons, to celebrate an engagement or anniversary. Complete the day with sunset cocktails at Air Bar and tasty tapas creations.